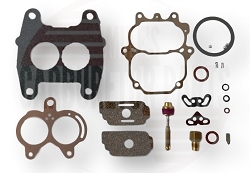 Carter BBD, 2 barrel carburetor rebuild kit. 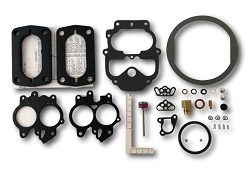 Please be sure to match your carburetor number with the list provided to insure you get the correct kit. 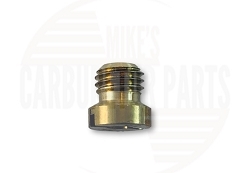 The carburetor number for this BBD carburetor can be found on a tag attached to the top of the carburetor. Tag is missing? Super fast shipping to Sweden and really good parts. We rebuilt my carburetor for my 1977 Dodge Power Wagon and it is running like a top! SLANT SIX GOES PURRRR !!! Fantastic Quality, Great Shop ! Just what I needed for my 73' !! extremly happy, everything i need was i. the kit and the directions were fantasic. i will deffinitly purchase from mike again. Very fast shipping, great quality! Thank you ! Exactly as advertised. Packaging was sufficient. Fast shipping. The spec sheet included was an added bonus. A+ I would recommend this site to a friend and will purchase from it in the future. Fit the carburetor just fine, no problems whatsoever. Good kit. Fast delivery to Australia, Perfect kit, Concise instructions, The web site takes out the guess work, I will never buy a carb kit from anywhere else again. great kit thanks for fast serv. Q: carb # 8069s will this kit work ?also stamped 0846 lower part of tag. Q: i bought a early 80s lull it has a slant six for motor with two barrel carburetor and the tag with numbers is gone how do i figure it out ? 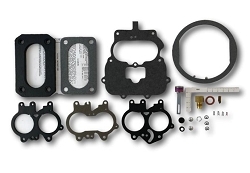 A: To determine the correct carburetor kit we would need the carburetor number. That carburetor came with a small tag attached to the top of the carburetor which included the carburetor number. When that is gone, the only way to be sure of the correct kit is to take the carburetor apart and compare all of the parts with what we have in our photos. 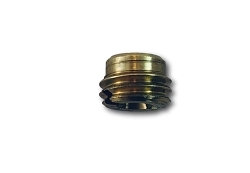 Q: Do you have the butterfly bushing available? it is a 1973 carter 2 barrel. off a dodge 318 engine. has 2441 stamped on carb body. Q: Workin on an 78 AMC Concord the stamp on the side of the car says it's a Carter 2425. Also the tag on the front says 81285 e815. 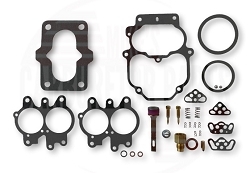 Was wondering what rebuild kit is needed? Accelerator pump: 3/4" diameter cup, 2.10" overall length.